Kronprins Harald (2) was built in 1976 by Werft Nobiskrug, Rendsburg, for the Jahre Line Kiel-Oslo service, replacing Kronprins Harald (1). 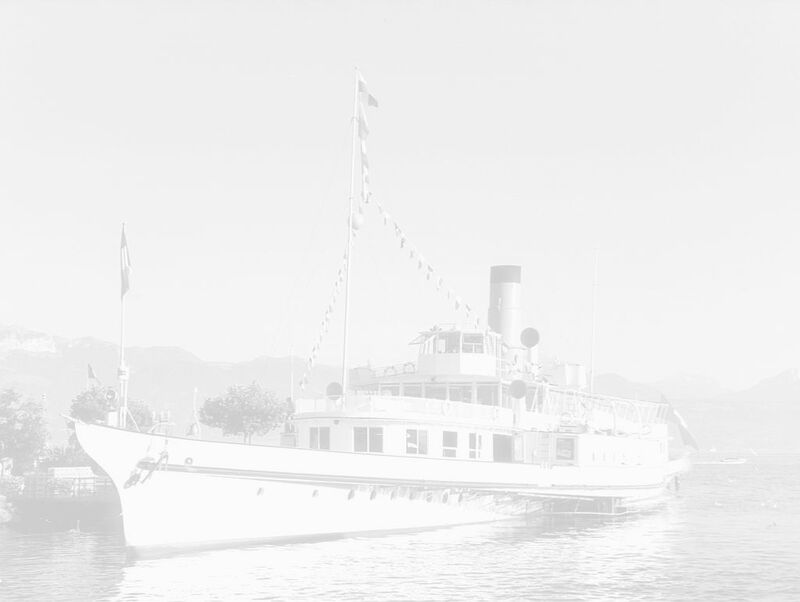 In 1987 she was sold to DFDS, having been replaced by Kronprins Harald (3). She was renamed Hamburg, and entered service on the Harwich-Hamburg route. Hamburg was built as Kronprins Harald (2) in 1976 for Jahre Line's Oslo-Kiel service. She was acquired by DFDS in 1987 and renamed Hamburg, replacing Prinz Hamlet on the Harwich-Hamburg route. 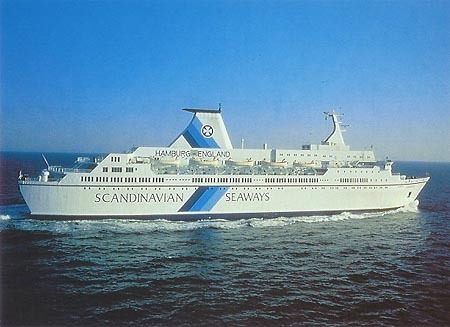 In 1997 she was moved to routes from Newcastle, and renamed Admiral of Scandinavia. In 2001 she returned to the Harwich-Hamburg route, but was sold in 2003, entering service between Puerto Rico-Santo Domingo as the Caribbean Express. 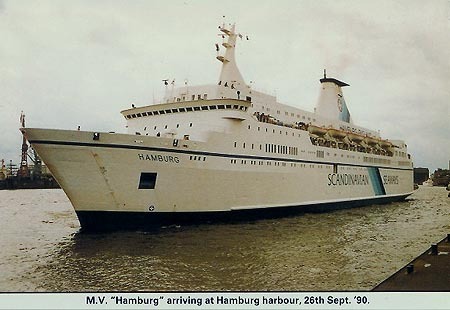 Scandinavian Seaways official postcard of Hamburg. Kissack postcard of Hamburg at Hamburg.. In 1997 Hamburg was moved to routes from Newcastle, and renamed Admiral of Scandinavia. In 2001 she returned to the Harwich-Hamburg route, but was sold in 2003, entering service between Puerto Rico-Santo Domingo as the Caribbean Express. DFDS Seaways official postcard of Admiral of Scandinavia. 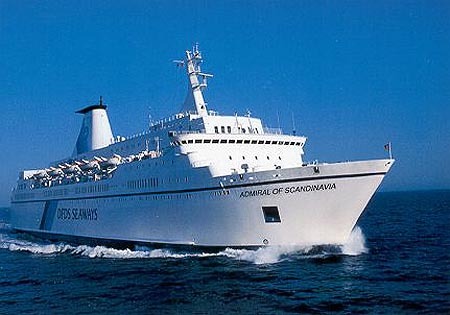 In 2003 Admiral of Scandinavia entered service between Puerto Rico-Santo Domingo as the Caribbean Express.